Guest Editorial: Don’t Blame California Public Employees! These unsubstantiated claims – repeated endlessly in media – stand reality on its head. Such accusations are part of a systematic campaign by corporate America to mislead taxpayers and scapegoat public employees. Moreover, the recent Congressional extensions of the Bush era tax cuts are an unexpected windfall for the richest Californians. According to the Citizens for Tax Justice, the top 1% of the state’s income earners will now bring home about $14 billion more each year to their mansions. This represents more than one half the state’s budget deficit. Second, public employees in California are not overpaid and they do not receive lavish benefits, compared with the private sector, according to the UC Berkeley Institute for Labor and Employment (IRLE). Economists Sylvia Allegretto and Jeffrey Keefe authored the IRLE report, “The Truth about Public Employees,” in which they examined wage and demographic data from the Bureau of Labor Statistics, and found that the average California public sector worker is older, more experienced, and more educated than their private sector counterpart – 55 percent of public employees have completed a bachelor’s degree, compared to 35 percent in the private sector. which administers and manages a pension fund for 1.6 million public employees, reports that the average CalPERS retiree receives a pension of $25,000 per year. Half of CalPERS retirees receive less than $16,000, and 78 percent receive less than $36,000 annually. Less than 2 percent of CalPERS retirees receive a pension of more than $100,000 per year, and the majority of these are highly paid managers and supervisors – not union members – with 30 years’ service. In California we have a revenue crisis – and not a spending crisis. Tax reform and boosting taxes for those most able to pay would make it possible to restore cuts to public services, adequately fund public education, safety, and health care, and fairly compensate public employees. 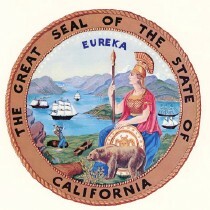 Such a progressive tax policy includes: (1) increasing by a modest 1% the corporate tax rate (returning to the 1981 level); (2) closing corporate tax loopholes such as the failure to reassess commercial real estate at market rates (now protected by Proposition 13); (3) enacting a severance tax on oil extracted and produced in California; (4) restoring the top personal tax rate for the upper 1 percent from 9.3 to 11%; (5) reconsidering and repealing some of the $12 billion in tax cuts by the legislature for individuals and corporations over the last fifteen years. Martin J. Bennett teaches American history at Santa Rosa Junior College, serves as Co-Chair of the Living Wage Coalition of Sonoma County and is a member of the California Federation of Teachers Local 1946.